After passing my driving test on Thursday I decided a little treat was in order. And since Boots is currently giving away a free 50ml Liz Earle exfoliator with any two skincare purchases I may have gone a little OTT. I'd pretend to be sorry but I'm not, so we'll skip all pretences. I picked up my order from store on Friday (free delivery can I get an Amen?!) and have been trying out my new products since. 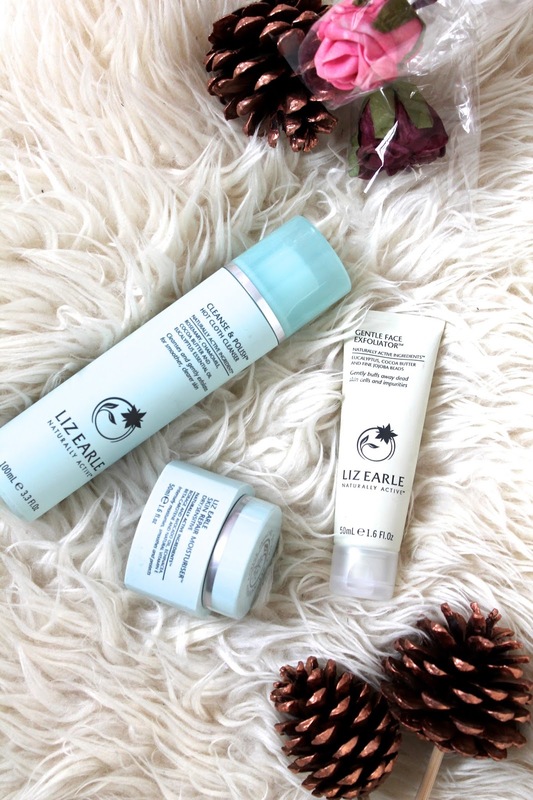 Today I wanted to share with you why I love Liz Earle skincare so much and my thoughts on the new exfoliator. Let's start with the newbie to my collection. The Liz Earle face exfoliator currently retails at £15.75 for a 70ml tub although as mentioned above, you can currently get one free with any two Liz Earle purchases. It has the same gentle, incredibly pleasant scent that all of her products smell like so absolutely no complaints there. Of course, as with any Liz Earle product, it just feels incredibly luxurious to apply to the skin. Similarly to the Cleanse and Polish it's a cream cleanser, meaning it doesn't foam up. Personally I prefer this because I find it a lot less drying which you definitely don't want in an exfoliator. The beads themselves are very fine, which removes any dead skin flawlessly without scraping the skin of its natural moisture. I used this for the first time last night as my skin had some build up around my nose and forehead that I wanted to remove. It did it's job wonderfully and I woke this morning with my skin feeling renewed. Very happy with this, would probably repurchase. Next up one of my staple skincare gems. The Liz Earle Skin Repair Moisturiser is a product I've been using for almost a year now and one I couldn't imagine life without. I know a lot of people don't have the money or inclination to splash out on skincare but personally I don't have a problem with it. I'd rather pay a little extra to have better skin for longer than look like I'm getting wrinkles at 25. In terms of prices I don't think Liz Earle charges over the odds. I know of people (mother, I'm looking at you!) who spend an excess of £50 for a pot of face cream so in my opinion, £20 is well worth it. Each pot lasts me about four to five months and thats with me using it twice a day. It's incredibly moisturising but skins quickly into the skin insuring there isn't an oily residue. For anyone who suffers with acne this literally saved my life. I used to get little breakouts a lot but since I've started with this, they've diminished a whole lot. I honestly can't see myself switching out my moisturiser any time soon. And lastly the cult classic: the Cleanse and Polish. Beauty bloggers and Youtubers have been raving about this one since about 2012 and for good reason. Once again it feels so lovely to use, so gentle and luxurious, but at the same time, you have no doubt it's removing every last trace of dirt from your face. This one is perfect if you have sensitive skin that tends to break out at the slightest chemical. I know, back when my skin was worse I used to try and tame it with Salicylic Acid etc but it made everything so much worse. Harsh chemicals just aren't for everyone, and if its the gentle approach you're after; I think I've found perfection. Let me know you're skincare holy grails down below! I love Liz Earle and my friend just got me the travel set of all the products for my trip to Costa Rica next month...very excited to use things like the toner which I haven't repurchased in ages!